For those who fly with British Airways regularly, the challenge of obtaining a BA Gold card can soon become an obsession which sometimes results in pointless flights being taken to retain BA Executive Club Gold status. Today we’ll be looking at the many benefits of the British Airways Gold card as well as the almost impossible to reach BA Gold Guest List. Even before I was old enough to hold a BA Executive Club (BAEC) account (18 years old unless you have a Household account as I discuss here) the challenge of achieving British Airways Gold status intrigued me. I wouldn’t be able to put my finger on whether it was the lure of the forbidden First Class airport lounge or being able to skip the queues using the priority lane that attracted me from such an early age, however some 15 years later I’ve finally achieved (that rather odd!!) childhood dream. Let’s look at the various benefits and what these could be worth to a BA Gold cardholder. 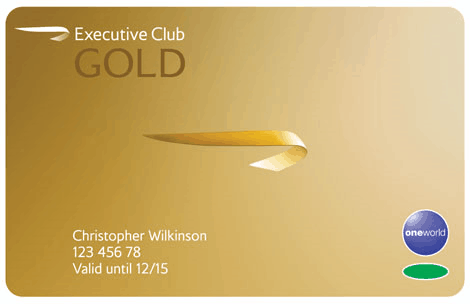 BA Gold membership is the highest status of the four tiers (Blue, Bronze, Silver, Gold) in the British Airways Executive Club frequent-flyer scheme. To work your way through the various levels of elite status, you’ll need to collect tier points by flying with either British Airways or a oneworld partner. Both the class of travel and distance flown will determine the number of tier points you’ll earn – you can read my full guide to tier points here. As such for those who regularly travel internationally with work, obtaining enough BA tier points for Gold can seem relatively easy. For those who mainly travel short haul in economy, the sheer number of flights required to reach British Airways Gold can seem like an impossible target. To make matters even more difficult, your tiers points expire at the end of each membership year so to retain BA Executive Club Gold status you’ll need to consistently – year in and year out – hit the tier-points earning thresholds! 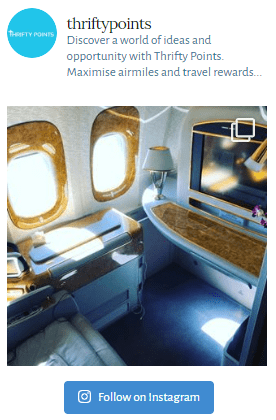 Eligibility – How Many Tier Points for BA Gold? What is British Airways Gold Guest List? A one-way flight between London City and Amsterdam in the cheapest economy seats would earn 5 tier points. This means you’d need to fly a grand total of 300 times between the two cities to earn British Airways Gold status. However if you were prepared to pay for Club Europe (Business Class), which would earn 40 tier points one way, you’d have to complete 38 flights or 12.6% of the number of economy flights. With Club Europe priced at approximately 2.4 times more for this particular flight, it’s clear to see that the structure favours those travelling in either Business or First Class as opposed to economy. If you travel long haul with either work or leisure in BA Club World (Business Class) your tier-point earning potential is significantly increased. A flight between London and New York in Business would earn 140 tier points, requiring just 11 flights to reach BA Executive Club Gold. Even using the British Airways sales page found here – this is likely to cost in excess of £1,000 per flight, illustrating just how difficult BA Gold is to achieve. Yes the total cost can be reduced through careful planning and we’ll touch upon this later on in the article. Now you can also earn tier points with British Airways partners who are members of the oneworld alliance. Again the BA calculator (found here) will tell you just how many points you’ll earn from a oneworld partner flight. Just remember to insert your BAEC number when purchasing the tickets and both the tier points and Avios points will be credited to your account. However to prevent people who fly with various other partners from simply qualifying for British Airways Gold status by flying numerous times with say SriLankan Airlines, you also need to take 4 eligible flights. An eligible flight is defined as a flight which has either been marketed or operated by either BA or Iberia. For those based in the UK this should be a relatively easy target to hit! Also note that (to my disappointment) you cannot earn tier points on Avios rewards flights, although if you use the option to part pay with Avios at check-out you’ll still earn tier points. Access to First Class Lounges for the cardholder and a guest when travelling with a oneworld partner. The First Class lounges are a step up on the entry level airline lounges as I highlighted in my review of the Heathrow T5 First Class lounge (found here). However it’s not just British Airways lounges you’ll have access to. As long as you’re travelling on a oneworld flight your BA Gold lounge access will allow you to enter any lounge offered by the 13 oneworld airlines. Complimentary Spa treatments when travelling from London Heathrow T5 or JFK. The Elemis Spa is not a service that I tend to use. Only First Class passengers can book in advance and it’s rare that there are slots available for walk-in sessions at Heathrow. First Class check in. You’ll benefit from either a First Class check-in desk or even better an entire First Class wing as featured at Heathrow Airport Terminal 5. Gold Priority Reward. This is without question my favourite benefit of British Airways Gold membership. I’m in a very fortunate position where over many years I’ve accumulated quite a few Avios points. With reward redemption availability usually restricted, I often find it difficult to use my hard-earned points. As long as there is a fare-paying seat within your desired cabin, Gold Priority Reward allows you to use double the amount of points to open up a seat in your chosen cabin. I’d agree that this doesn’t yield the best Avios points value but it does help me spend those points. Priority Boarding (Group 1). Even if you’re flying in economy the BA Gold card allows you to board with First Class passengers. Double the amount of Avios earned when flying with BA, Iberia, Japan Airlines and American Airlines. Free seat selection at the time of booking. Even in Business you don’t receive free seat selection until 48 hours before your flight. This benefit could save you a staggering £62 per person per flight!! BA Gold members can also book exit row seats free of charge (saving £50 per person!). Additional luggage. Any passenger on the BA Executive Club Gold member’s booking can take 2 x 32 kg of hold luggage. I’ve never got close to using the entire British Airways Gold card baggage allowance! To encourage ‘big spending’ customers to keep on travelling with British Airways once they’ve hit Gold status, further benefits can be unlocked at various tier-point milestones. 2,500 Tier Points: When a British Airways Gold member reaches 2,500 tier points in a membership year they’ll earn a BA Gold upgrade voucher to the next class of travel for two passengers. 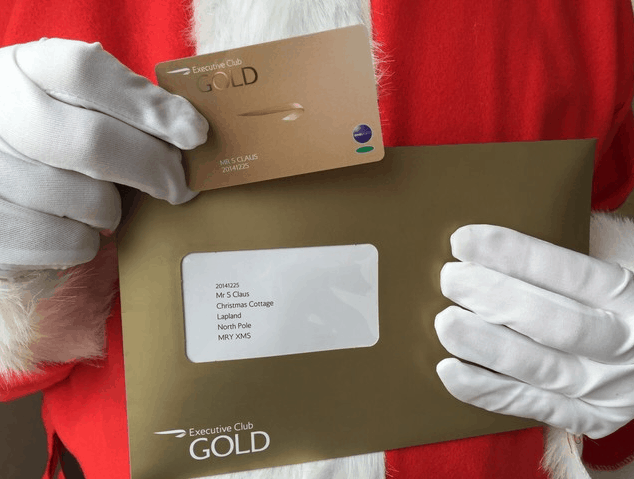 3,500 Tier Points: two Gold upgrade vouchers are gifted to British Airways Gold cardholders when they reach 3,500 points. 5,000 Tier Points: For the select few who hit 5,000 tier points in a year, you’ll reach the final tier in the British Airways Executive Club – British Airways Gold Guest List… This is the holy grail for all die-hard frequent-flyer enthusiasts which we’ll discuss in full later! As well as this you’ll be granted a Concorde Room Pass allowing you to access the Concorde Room whenever flying on a BA-operated flight. In addition to these two benefits you’ll be able to unlock 2 Avios reward flights (max 5 people per flight) each year at the normal amount of Avios when there is no availability. Finally you’ll be able to gift 1 BA Gold partner card and 2 Silver cards to friends and family. British Airways Gold Guest List (commonly referred to as BA GGL) is the final tier of the British Airways Executive Club frequent-flyer programme and as such is the most sort after. Once you reach 5,000 tier points in a membership year you’ll be rewarded with a Gold Guest List card, however the benefits don’t just stop there. BA GGL members can force open two Avios redemptions per year for up to 5 passengers in any class (as long as there’s availability in fare classes A, D, T, B – this can be quite restrictive). BA Gold Guest List holders can invite two additional guests to BA departure lounges and one guest to an arrivals lounge. Access to a GGL BA-dedicated phone number open 24 hours a day. Free Hilton Honors Diamond status. As well as a British Airways Gold Guest List card, those who reach the 5,000 tier point hurdle will also be granted a Concorde Room card. I recently reviewed the Concorde Room (found here) which is BA’s flagship and most superior lounge! You can gift one BA Gold partner card and two Silver cards to friends or family at the beginning of any membership year. With so many BA Gold Guest List benefits on offer it’s not surprising people end up chasing the most elite level of the BA Executive Club scheme! Once you’ve reached Gold Guest List the ongoing tier point requirement falls to a mere 3,000 tier points! You may have noticed lifetime tier points on your British Airways Executive Club account. Unlike normal tier points, these never expire and accumulate over time. To reward British Airways’ most longstanding customers, BA lifetime Gold membership is granted when an individual reaches 35,000 tier points. From that point onwards your Gold membership will automatically renew on a rolling basis even if you never decide to fly with British Airways again. For those who travel a huge amount, once a member reaches 100,000 tier points they’ll be rewarded with British Airways Gold Guest List for life – to put this into perspective this would require 278 First Class flights between London and Sydney! Unfortunately not an accomplishment that I’m ever going to achieve, but I can always dream! How to get a BA Gold partner card? A BA Gold partner card is available to BA GGL members. At the start of each membership year the BA Gold Guest List member can gift one BA Gold partner card and 2 Silver cards. Can British Airways Gold be used with other oneworld partners? Yes. You’ll nearly always receive the same BA Gold benefits when flying with either British Airways or any other oneworld partner. Easiest way to obtain BA Executive Club Gold status? Only the dreaded tier point run I’m afraid. For those of you who are new to the idea of a tier point run or would like inspiration on current routes, take a look at the Flyer Talk BA tier point run thread. How many BA Gold members are there? Can I use British Airways Gold for status matches with other reward schemes? Yes you most certainly can. The best place to look for an up-to-date list of possible matches is Status Matcher (found here). One current offer is with the Langham Hotel group. As a British Airways Executive Club Gold member you can simply email Langham and ask for a status match with their Voyager membership. This is the highest publicly offered status by Langham (just an invitation-only tier exists above this). Benefits of Voyager include room upgrade and 6pm check out. What are the main differences between British Airways Executive Club Gold and Silver? First Class BA Gold lounge access and check-in service as opposed to Business Class. Complimentary Spa treatment when flying from Heathrow or JFK. Gold Priority Rewards – my favourite! 100% additional Avios earned on flights with BA Executive Club Gold compared to 50% with Silver. With the lure of so many benefits, it’s no surprise that the BA Gold frequent-flyer elite status is sought after by members of the British Airways Executive Club. To earn 1,500 tier points you’d need to fly anywhere between 300 (London to Edinburgh in economy) and 6 (London to Sydney in First) times each year. As always I love to hear your thoughts, so please do reach out in the comments section below. Aer Lingus Credit Card UK – What are your options? American Express Green Card UK – Why you should avoid! Alternatives to the Alitalia Credit Card – What to Choose? What Is the Best Flying Blue Credit Card? LoungeKey HSBC Premier Airport Lounge List – What’s the Choice? Best Air Miles Credit Card UK and those to Avoid! If you win you'll recieve two codes - one on the next page and a further will be sent to your registered email address. Both are required to claim your prize so KEEP BOTH!